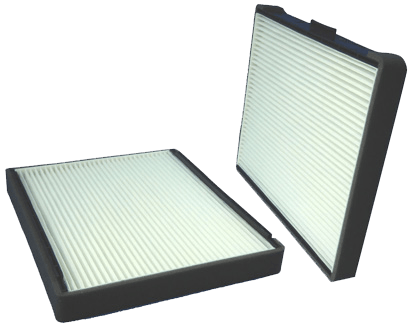 These filters keep dust and particles such as pollen, diesel soot, and tire dust away from the interior of the vehicle. Since it’s important to achieve a high filtration performance in the space available, we have maximized the filtration area in our cabin filters without affecting the free-flow of air into the passenger’s cabin. Premium Guard® Particulate Cabin Filters retain virtually all pollen and other unwanted particles. 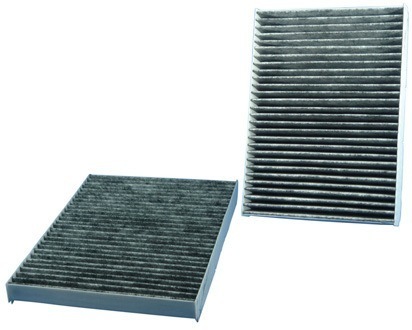 Activated Charcoal Cabin Filters offer enhanced capabilities to ensure both clean air and a healthy cabin environment. Along with particle removal, it’s empowered with an activated charcoal embedded in the media fibers. This aids in absorbing harmful gases such as nitrogen dioxide, fuels, and ozone. It also helps eliminating odors resulting from molding buildup in the ventilation system. Specially engineered filters with three filtration stages to ensure the quality of air inside the car. The initial stage is to eliminate particulate matter of dust and pollen larger than 10 microns, second stage traps mold and harmful gases – e.g. carbon-monoxide, Sulfur Dioxide. Lastly, a third stage of special an anti-bacterial coated material.